The contest is really easy and open the every one! I did a post about must have applications for iPhone and iTouch back a month ago and a recent version on GaijinPot, but someone pointed out to me that there was a dictionary App out there that was killing all Japanese dictionary out there! And he was right!!! The App is called Kotoba and the best thing about it is that it is free!! Yes you don’t get that a lot especially for a dictionary app as complete as that one! You heard me right FREE. So in this video I will walk you trough Kotoba showing you this App sweet features. I really hope you will like the video. Dont be shy and tell me what you think about this first video. TokyoTeleport and the TokyoTeleport plus! Hood Hot Travel are the brains behind wonderful App like : China Taxi Guide, Chef Tour and the new baby” Tokyo Teleport and the plus version”. So they go me really exited about their famous ‘‘new baby”. I had to test it out. They gently and kindly gave me a copy of the 2 version so I could check out, try it and review it. 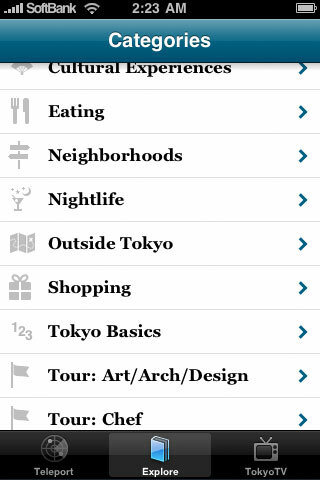 Tokyo Teleport and Tokyo Teleport plus are the new kid’s on the block, in the Japan iPhone and iTouch app scene. But don’t be fouled by the therm kid, because they are here to whip some big boy’s out of the game! Since I started living and working in Japan or even when I just went on a trip to foreign land, I would have loved to have the budget to bring on my personal guide. You know not just a pre-made tour that suites 1/2 of your interest and 1/2 makes you want to kill your self. A real guide that knows all and all that I like. One that let’s me see and experience what I want. Take a hold to your self because now with the technology and the wonderful invention that is the iPhone or iTouch you can! And Tokyo Teleport is just that! You now own your personal tour guide, and I could even say much more than that. It Is a video tourist guide that not only tells you where to go it literally show’s you. If you are not in Tokyo but you’re a fan of this wonderful city and want to learn more interesting stuff the TokyoTeleport version is the one for you. With all those tools you will be able to enjoy the heart beat of the megapolis that is Tokyo! I must say for having played with this App for a week now it is wonderfully constructed and the idea behind it is mind-blowing. It is a really simple App to use and anyone can understand it in a heartbeat. The videos are addictive and if you love Tokyo or Japan you will literally fall in love with this app. The quality of the videos and the App is wonderful, but if you are going or are in Tokyo you would need to get the big brother version. Personally I think all the fun starts in the plus version of course I live in Tokyo so for me it does come handy. In this version in addition to the TokyoTV segments and all the features from Tokyo Teleport, Tokyo Teleport Plus incorporates a detailed guide of the city, including offline HoodHot Maps, suggestions based on the time of day and GPS, WalkCasts that walk you through Tokyo’s streets to the front door of over 50 venues, and detailed guides that explain the best way to experience the awesome things featured on the show. 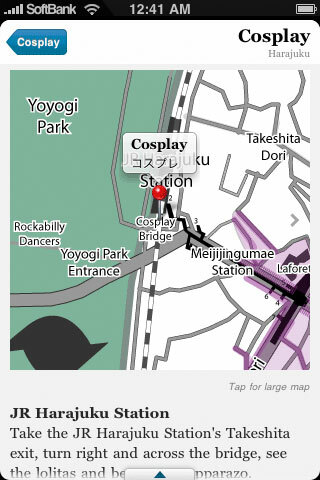 Since I got this app I did rediscovered new parts of Tokyo, Yes I’m not kidding! There were a lot of places that I have eared about but never really had the chance to check out. Seeing the videos motivated me to actually go there and experienced it my self. Can you imagine that! It is what I was talking about, your personal tour guide! You got to love it! I do!!! With its GPS enable feature you get venues close to you and according to the time it is. Tokyo Teleport Plus is packed full of content, with over two hours of TokyoTV and WalkCast footage showcasing Tokyo’s hottest venues. I love all the functions in the two versions and I truly which I had more time to really go everywhere the plus version could bring me but for that i will take me more time, I guess it will be over it around next year. But everywhere I when was so cool and I loved it! Have you ever heard of Urushi? 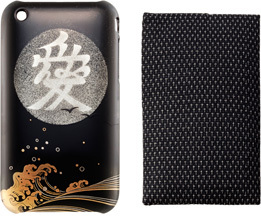 Urushi is the traditional art of lacquering wood or almost anything. 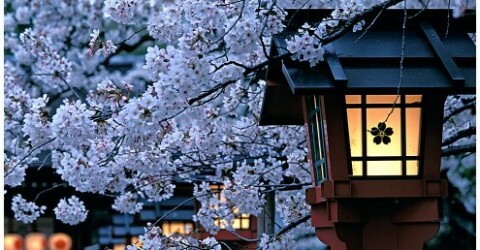 As for most Japanese art forms, we have to look for their origin in China. However, excavations in the Saitama prefecture (hihihi where I live) prove that there has been a lacquer culture in Japan since the early Jomon period 10000 – 250 B.C.. Lacquer was not only applied as a decoration, but also as a protection for wood and leather. Some of the famous Dogu statues of the late Jomon period can be considered as the first art objects with lacquer decoration. In this same period there even existed an imperial lacquer department Koan 392 – 291 B.C.. The lacquer colour scheme used at that time was restricted to black and red. The evolution during the Yayoi period 250 B.C. – 250 was not very important. Worth mentioning are the fine kogai and armour with lacquer coatings. The only colours used are still black and red. 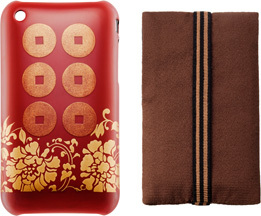 The introduction of a new colour, namely gold lacquer kin urushi, took place in the Kofun period 250 – 552. After that period and the introduction of Buddhism in Japan new technique were introduce and the art when on! 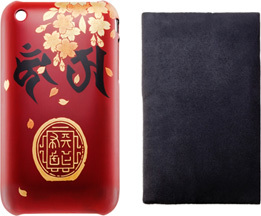 They are traditionally lacquered by a company or branch of softbank called: Japan Texture. these 5 spledid cases where created under the supervision of a historian, since they are representing 5 famous Japanese samurai’s. 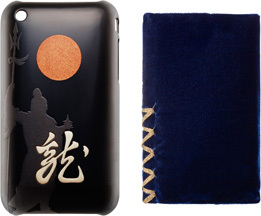 The cases are named after and designed to honor famed Japanese warriors like Date Masamune, Uesugi Kenshin and Naoe Kanetsugu just to name a few. Each one is decorate in elements that personify these legendary heroes, with gold dust highlights adding plenty of sparkle. 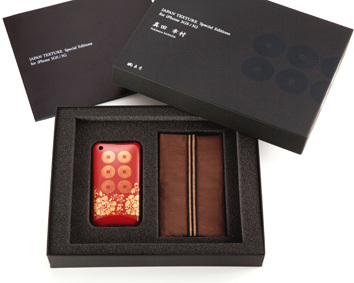 The famous Kyoto based lacquer ware manufacturer Zohiko was part of the collaboration to create these exquisite expensive iPhone cases. 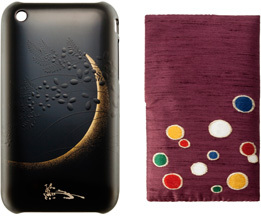 If 1000$ is not really in your budget and your still kindly will to get a lacquered case for you superb iPhone, Softbank offers an other series of cases in the 39,800 Yen ($407) range. Here are those models. Unfortunately for you (if you have big pockets) these are all limited editions only 50 of each model will be sold be sure to grab one quick. I’ve being living in Japan for 3 years now, 1 of those 3 year was made easier. It was made easier with the use of one tool that I now love the iPhone or iTouch. I’m not going to talk about the actual machine most of you already know what it is. I want to talk about some applications that I find brilliant. I would like to point out that most application are not free. There is always the option to Jailbreak your iPhone or iTouch. 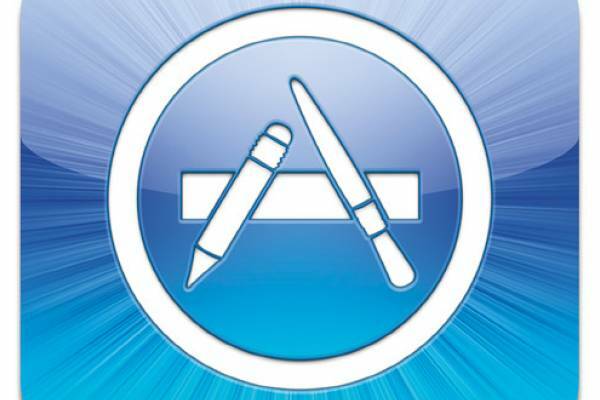 The jailbreak in simple terms will allow you to use a program that will enable you to download App’s for free and apply some changes in the iTouch or iPhone itself. I do not recommended or suggest that you Jailbreak, I’m only informing you. Search the web for more info on that topic. Back to the Japan related App’s, I will break all App’s in categories. Japanese is suppose to be a dictionary app but I must say it more a kanji repertory to me. If you are looking for an App that will help you’re traveling needs in Japanese this App is not for you. If you are unfamiliar with Japanese you will get lost. The search functions are not really easy to use and the results could be better. The positive point of this App is if you are familiar with Japanese or are studying it. This App will greatly help you learning kanji’s, the classification systems of the kanji’s is really nicely like JPLT 1,2,3,4 categories, by strokes categories, by school year and much more. For travel purpose I think it’s not worth the money. For studying purpose or for someone living in Japan it really worth the money. A really good addition to a Japanese learning arsenal. 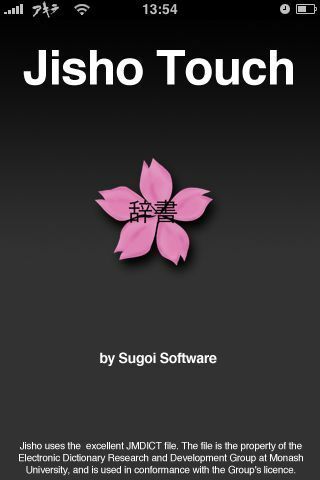 This for me is a real dictionary App, Jisho Touch let search for a word in a multitude of language then give’s you the Japanese romaji Hiragana and Kanji translation. It really simple to use really fast. The dictionary has over 100,000 words and lets you even bookmark your favorite or mostly used words. Me I use this program everyday, from using it to study, make a kanji translation or check for a word I don’t understand. It’s really amazing! Plus it’s a really affordable App only 9.99$. The only thing I could say is that if you are using this App for traveling purpose it will not give you sentences or expression only words. hen you chose a phrase you will have the audio Japanese version plus you will have a romaji, Japanese and English written translation. Little side notes sometimes the translations could be shorter or easier but overall really good and everyone will understand what you need or want. This is the app for all travelers to Japan, I really recommend it. Even for people using Japanese daily this App could still be useful. Dictionary App on the block it’s called Daiiisen Jpn-Jpn Dictionary from a Japanese company Shogakukan. I will try this App shortly and up date this post after. First off, if your living in Japan using your cellphone with yahookeitai or google via your cellphone internet, are still two of the best way’s to find info on transportation. Japan transport system is really efficient but for travelers and even people living in japan, it can be really complicate. Knowing where you’re going is sometime not enough. Here’s some App’s that could help you around. It was known before as Tokyo Metro, the new edition is quite similar to the old one. With this App you have a map of the Tokyo metro, individual map’s of all the Tokyo metro lines and a list of metro connection and train connection for each station in the Tokyo metro. I find this App really practical, if I’m on the go in Tokyo and I’m not sure i have my map on my phone. Sometime the map’s in some stations in Japan are only in Japanese, having a digital map in English can be really resourceful. 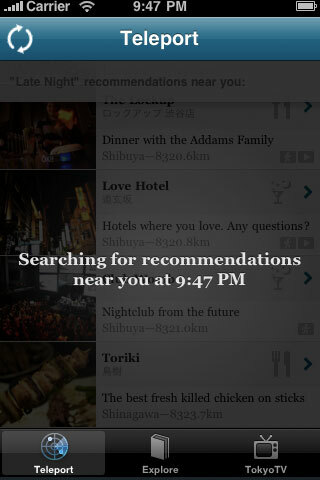 If you’re planing a trip to Tokyo, this would be a must have App. Really easy to use and practical. For every one going to Tokyo. Downside I did not like the main map zoom in and out system. Great buy. I just got this App today, at first I must say I really like the map’s in general. Unlike Tokyo metro the main map is more versatil in terms of zooming and mobility. I did not have the chance fully use this App but for all I see it’s a beef up version of Tokyo subway. Only downside I see now is that it’s suppose to have Osaka and Nagoya subways maps too but I can seamed to find them. Like the Tokyo subway App this one is a must have. Having one or the other is a personal choices but Japan subway rout has exit’s plans for the Tokyo metro which is really sweet. There is also a many App for trains information. I never used them because my Japanese cellphone service allow me to have faster information on trains or schedule. 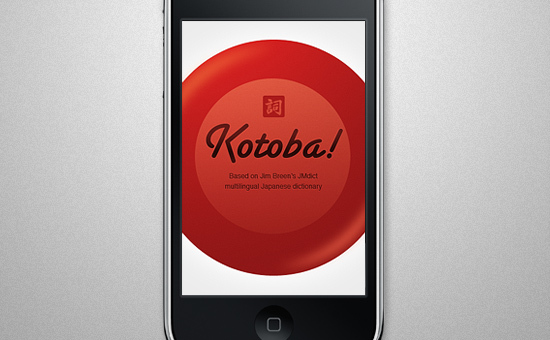 Ikoto is an App that let’s you play the Japanese koto a guitar like traditional instrument. You can also record 3 songs on this App. Samurai way of the warrior lets you play a 2D slash and kill samurai game. It has a fun game play and nice art work. It can become repetitive. Draw slasher ninja Vs Zombie Pirates is an other slash and kill game with a fun game play interaction. I am Ninja let’s you become a Ninja. this game is from the guy’s of Ask a Ninja. If you want more information on those iPhone, iTouch applications you can visit the Apple Appstore, youtube for videos on App or search the web.